Are you aware of the community groups within Cirencester ? We have 5 different community groups representing each part of Cirencester at the moment. If you would like to get more involved in your local community or would just like further details please see contact details below for each group. If you feel a part of your community isn't represented and would like to formulate a new group, please feel to contact us. As a result, working with the Town Council, we have created a Community Garden incorporating seating and toddler play equipment and have aspirations to obtain further funding to provide larger play facilities subject to planning approval.The Committee continues to meet on a regular basis and would welcome more people to become involved. We may not be able to do everything but together we can probably make a difference. 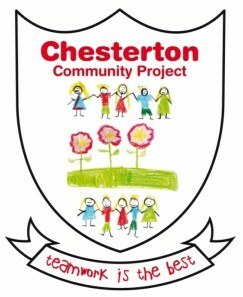 The group meet on the first Wednesday of the month at Chesterton primary School at 7pm. The newsletter is a good way of reaching everyone and letting them know what is happening in and around Stratton and the town. Thanks to local businesses that advertise with us, the clubs and societies that write about their events and, of course, all those that deliver the newsletter to homes in the area. There are no meetings. The group was set up to give local residents a forum to voice opinions about local issues and work constructively to resolve them. Recent issues we have discussed and made representation on are parking, flooding; the Market Place regeneration, the proposed Chesterton Development and the cleanliness of the town and its green spaces. The group meets at 6.45pm on the 3rd Wednesday of each month at ‘Somewhere Else’ on Castle Street. Come along to the meetings, all are welcome - they are for you and you can make a difference. Help us to achieve what we set out to do when we set up the group "Working together to make things better". The Group meets at the Fire Station on the fourth Monday of each month at 7 pm (not during August and December). Please get involved - we believe every contribution makes a difference.